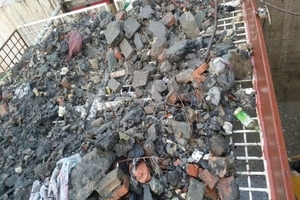 In recent years, city waterlogging disasters have become more and more serious in China especially during rainy seasons. The “Sponge City” concept was launched for the first time by Chinese government in the year 2012 to improve the function of city ecosystem and reduce the occurrence of city flood disaster. 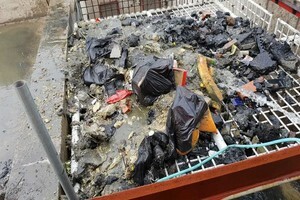 This particularly resulted in growing attention put on the maintenance of city sewage channels. 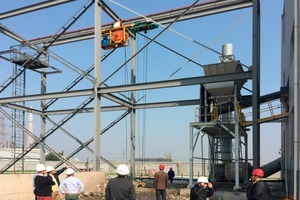 While traditionally, most of the city sewage sludge used to go for landfill, generating incidentally major environmental issues due to long transportation distances and multiple risks of spilling during the transportation, China is now directing a growing amount of material for treatment, with the aim to generate re-usable materials and consequently reduce the amount of material to landfill. Although there are, for the time being, no specific legally binding laws nor regulations put into place by the central government, there is a clear trend in China for improving the overall living environment through a better use of the resources, aimed at building up a more frugal society. Confronted to this market opportunity in China, while being already very familiar with such challenges as per the various projects handled in Europe on similar matters, AKW Equipment + Process Design, Germany (AKW A+V), along with its Chinese subsidiary Shanghai AKW Separation Process Equipment Co., Ltd. (SAKW) and a local partner developed and engineered a plant concept that was presented to several communities. 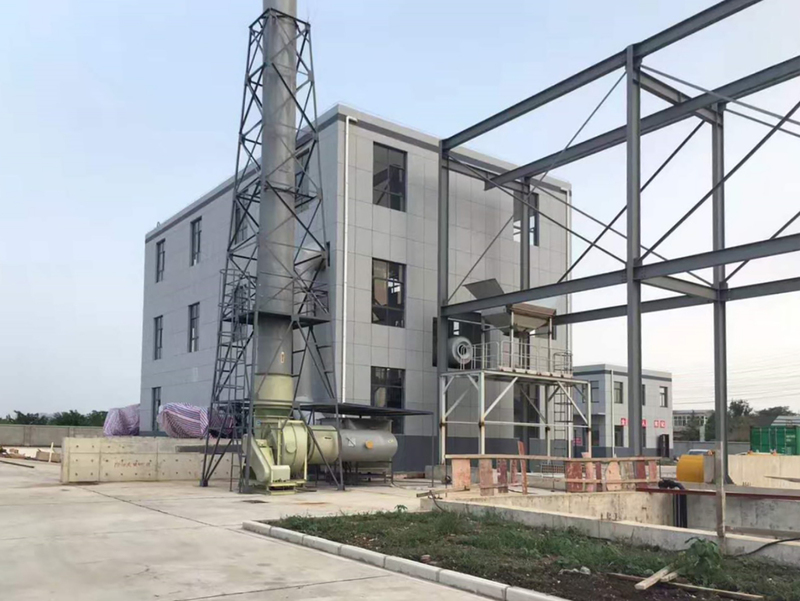 After 12 months of intense technical-sales and communication efforts, the contracts for the first ever two city sewage residues treatment plants in China, including the most comprehensive set of mineral processing stages, were signed. 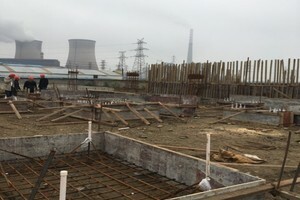 Based on AKW A+Vs long-term proven experience and knowledge in the field of wet mechanical treatment and environmental technologies, the projects could be handled between the 3 parties by allocating specific tasks to each, on the basis of the respective know-how and local capabilities. This is how AKW A+V took the lead on the process design, total plant engineering, project management and supply of key equipment, while SAKW contributed with the local manufacturing of several high-end proprietary process equipment, and our partner focused on the sourcing and supply of all ancillary items (cabling, piping, pumps, screens) as well as execution on site. 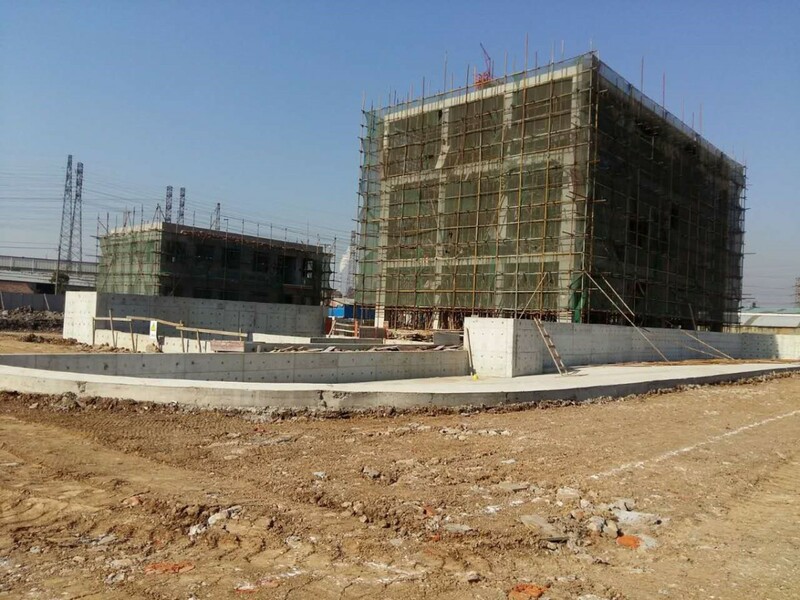 The result: the biggest ever two city sewage residue treatment plants in China, executed in a record time of 9 and 7 months. In the following you will get an impression of one of the two realized sewage residues treatment plants. 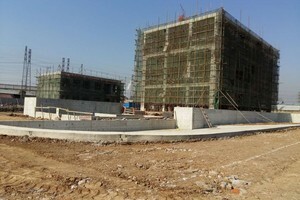 Originally an old, basic and unconventional treatment plant was existing in the Wuhan Qingshan district. However, this solution, mainly comprising a dewatering stage and no real material valorizing, did not fulfill the expectations nor the new environmental requirements and goals of the city. 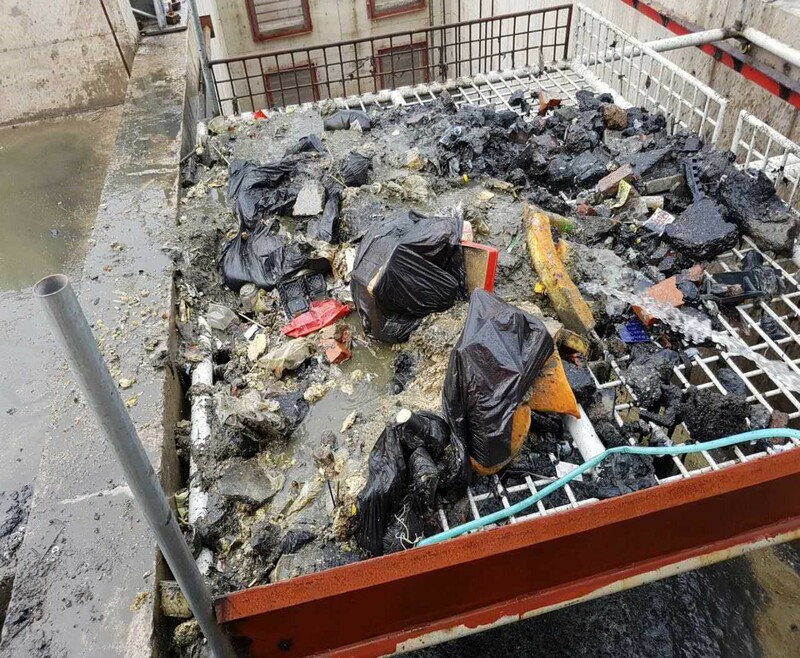 Additionally, this old installation was unable to cope with a strong specificity in China that can be explained by the low maturity of the waste collection market, which is that the system required needed to be able to handle a wide variety of waste input material types. 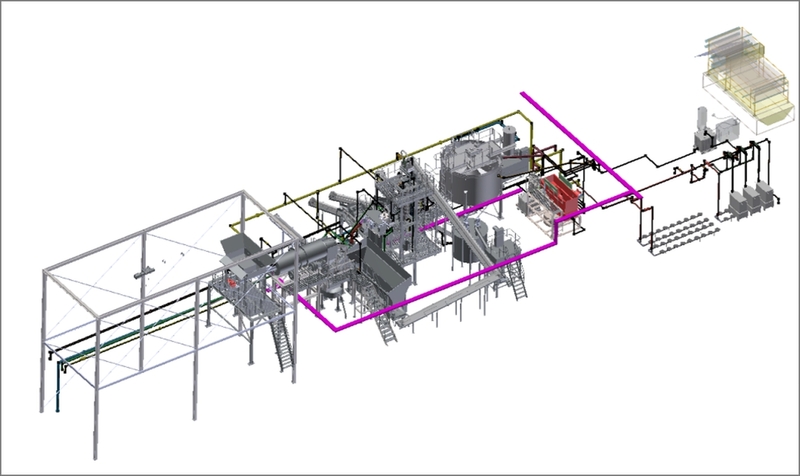 Based on AKW A+V’s proprietary treatment concept, it was proposed to build up a new processing plant, that would allow the highest possible versatility combined with an optimum separation and individual treatment of the gravel and sand portions, as well as oversize and organics waste streams. 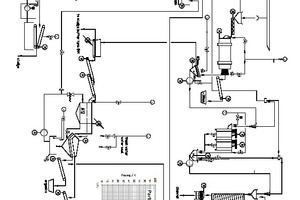 Moreover, in order to be able to discharge the process water at any time if required, it was agreed to integrate a complete process water and sludge dewatering treatment installation. 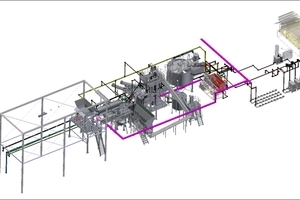 In the year 2014, the first process evaluation based on the client´s requirement was initiated, in order to define the key features needed for the plant, so as then to be able to design, engineer and erect a state-of-the-art processing unit capable of meeting most, if not all, demanding features. 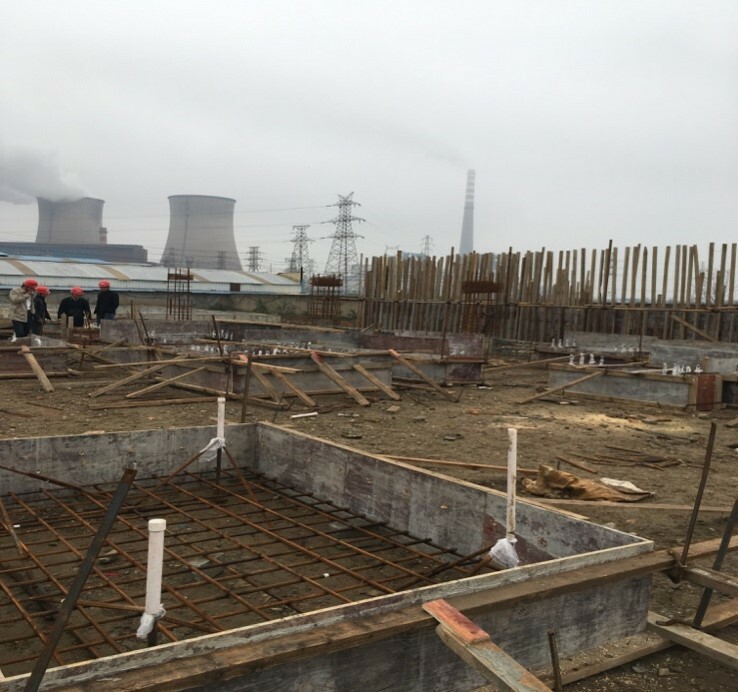 All these single procedures were worked out in close cooperation and coordination with the customer and all project parties, to enable the development of an individual and customized concept, answering the highly specific needs. 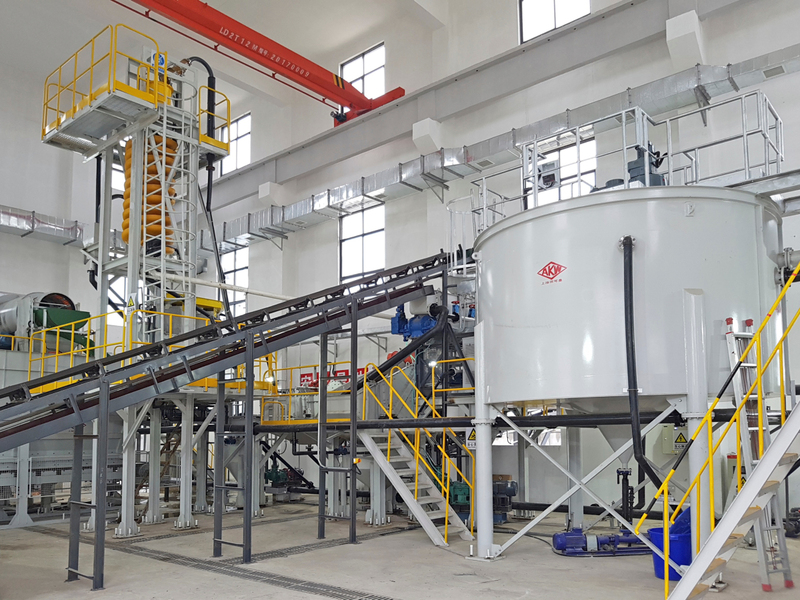 As mentioned earlier, due to the still poorly consolidated and not-well-developed waste collection & management market in China, the recycling plants need to show their capability to cope efficiently with the often changing types of input materials, as well as varying input capacities. 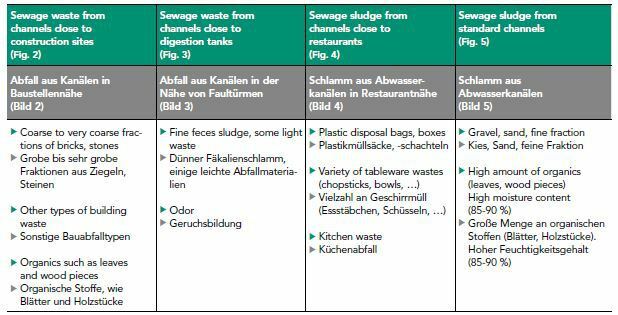 As an illustration, the treatment plant requested by the customer and designed by AKW A+V, had to be able to process the listed categories input materials (Table 1). 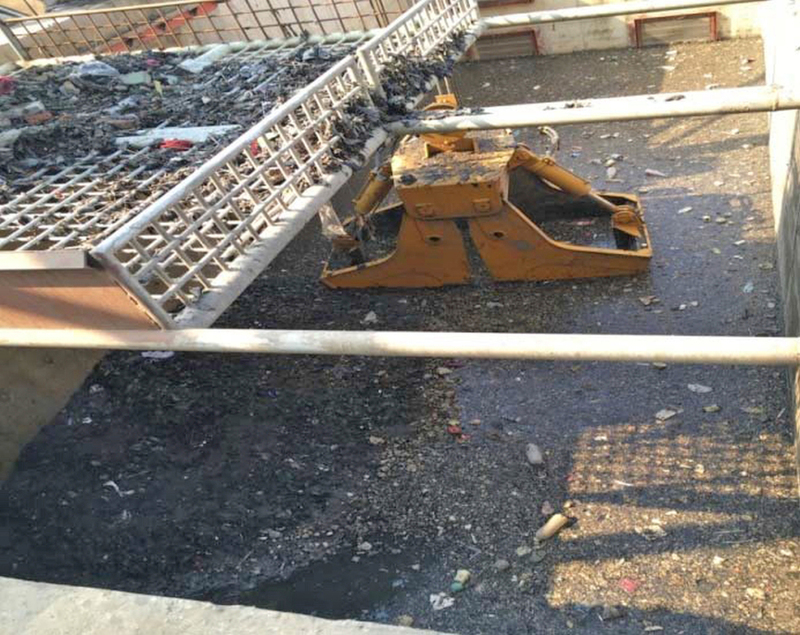 The collecting trucks are emptying the sewage residues onto a safety screen (10 x 10 cm) stopping all extra coarse materials. 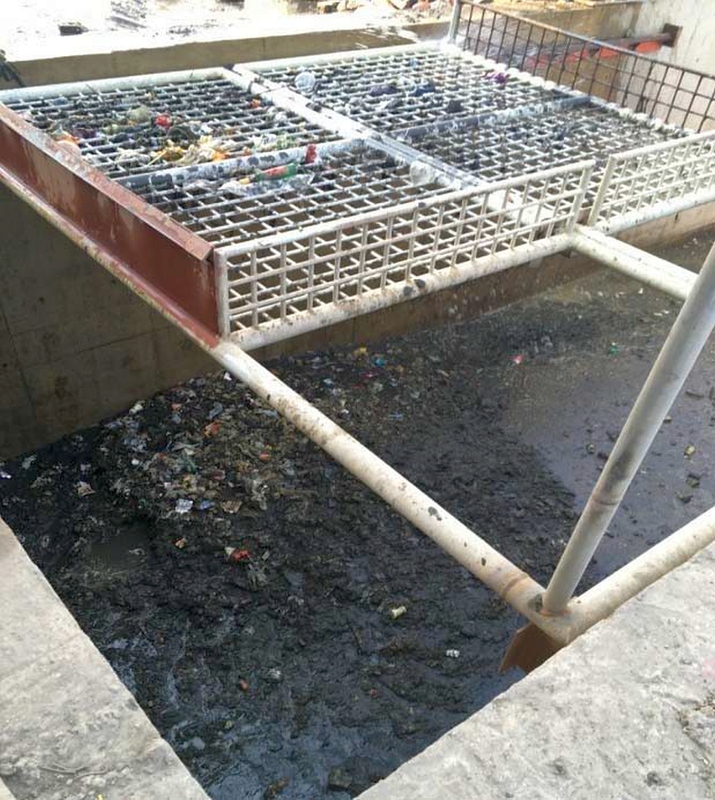 The finer portion falls into a pond, which will be used to feed the processing plant. 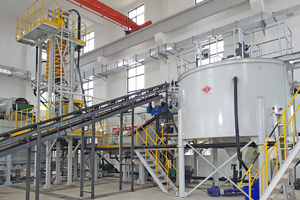 With the help of a grab and screw conveyor, the material starts its process in the washing drum AKA-DRUM where it is suspended and de-agglomerated. 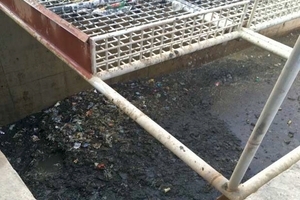 Via the screen basket installed at the end of the washing drum, the material is separated at 30 mm. 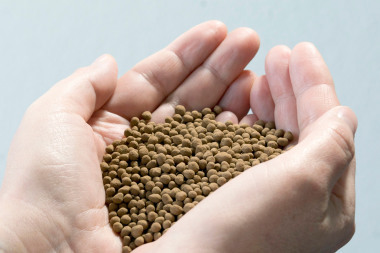 The particles > 30 mm (product 1) will be transported via a belt conveyor for stock piling. These oversize materials are hardly utilizable and are primarily going to landfill. The classifying screen following the AKA-DRUM is be fed with the material < 30 mm, and makes a cut size at 3 mm. The particles > 3 mm will be collected first in a box feeder (acting as buffer tank) before being transported via conveyor belts to the AKA-JIG for separation of the organics from the gravel (3 – 30 mm). 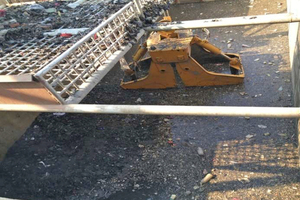 The subsequent installed double deck dewatering screen ensures an optimum reduction of the moisture content in the organic and gravel fractions. The gravel (product 2) is useable for e.g. concrete plants or landscaping. 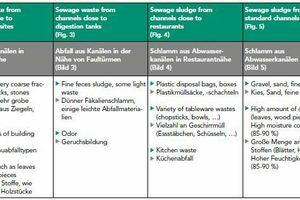 The separated organics (product 3) can be used e.g. for compost plants. The finer fraction < 3 mm is directed into a high performance attrition cells AKA-TRIT, where it undertakes a mechanical surface treatment. Later on, a hydrocyclone AKA-VORTEX carries out the liquid-solid separation, that will release a deslimed sand (<3 mm) from a waste water mixed with fines (mainly organics). In the hydrocyclone, the suspension is subjected to centrifugal forces, that lead to the creation of a primary vortex, which is directed downwards, and an internal secondary vortex directed upwards. This generates a segregation effect of the particles present in the fluid, hence enabling the separation of a solid fraction in the underflow and of a liquid fraction (mostly) in the overflow. Subsequently, the underflow is fed from the top into a spiral AKA-SPIN. The spiral ensures a separation of the particles contained in the suspension, depending on their density. In this way, the particles with a lower specific gravity are concentrated in the outer areas of the flow, while the particles with a higher specific gravity are directed towards the spiral axis. As such, the purpose of the spiral is to ensure a proper separation of the clean sand (higher specific gravity) from the organics (lower specific gravity) that might still be present with the sand. The organics coming from the spiral will be dewatered in a tumbling screen and then combined with the other organic stream coming from the gravel processing line. The sands <3 mm (product 4) coming from the spiral will be dewatered on the dewatering screen, and is useable e.g. 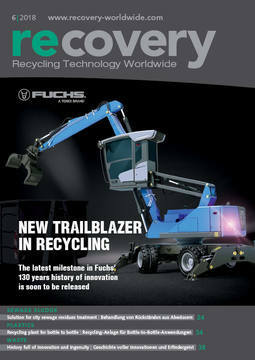 for cable sand, backfilling of sewage pipes, landscaping, paving sand or concrete plants. 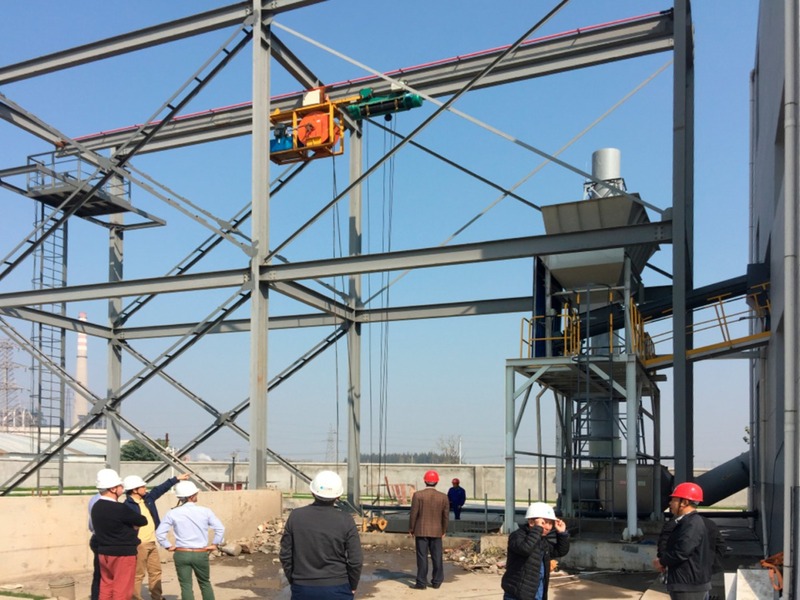 As indicated earlier, in addition to the gravel, sand and organics processing stages, a waste water and sludge processing system is also integrated into the whole treatment unit. The high performance thickener AKA-SET is aimed at minimizing the fine particle content in the process water. For this, flocculants are added in a specially designed tank, and will help the fine particles to agglomerate and sediment, forming a sludge, while the clean water is collected in an overflow at the top of the AKA-SET. 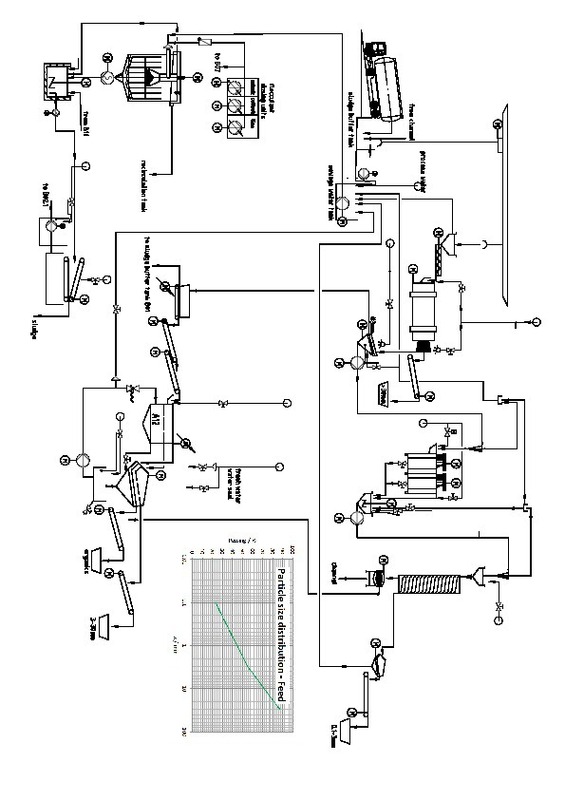 The sludge formed is then directed through a specially designed and heavy duty pump, into a belt filter press, for final dewatering before disposal (product 5). 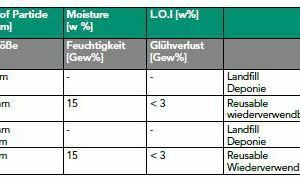 The plant process data are summarized in Tables 2, 3 and 4. The AKW A+V group was awarded with the order in 2016. In agreement with the timeline confirmed in the contract, the production of all proprietary equipment, technical coordination with the subcontractors, preparation of the documentation, dispatch of all goods and mounting supervision on site took place according to schedule. 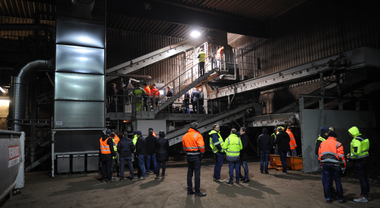 The start-up and commissioning of the plant took place in Q3/2017. In October 2017 the opening ceremony of Chinas biggest sewage residue treatment plant was held in Qingshan city. The representatives of the local government, the end user, the project contractor, AKW A+V and SAKW attended this key event and grand ceremony. All the guests could witness the starting run, and were deeply impressed by the excellent performance. 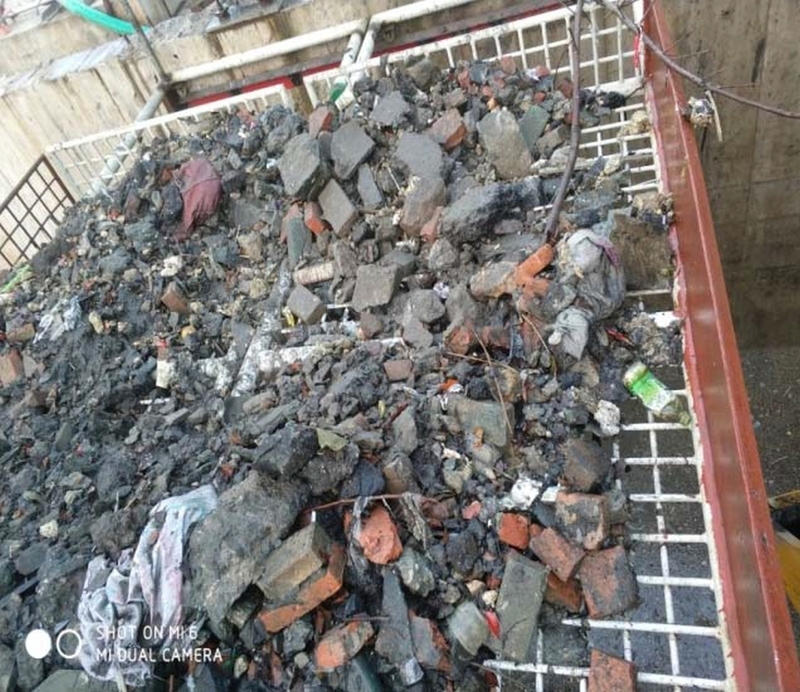 The organics, gravels, sands and sludge could be fully separated throughout the process chain, stored individually and hence available for further reuse. „After this successful project launch we are very confident that our equipment and technologies will raise more and more interest in the Chinese environmental industry. As a matter of fact, we are already on the go for another project. More generally, SAKW is working with selected partners on several smaller sewage treatment plants concepts that will also be inspired from this first successful project,“ stated Mr. Yu Jian, General Manager at Shanghai AKW Separation Process Equipment Co., Ltd. “It is a challenge to deliver the perfectly suitable technology for solving the Chinese environmental problems, due to considerable different channel systems, greater variety and higher complexity of the raw sewage sludges, different living styles and hence different treatment requirements. 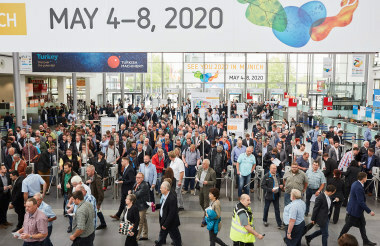 But we also see it as a perfect opportunity for AKW A+V Group, due to its historical approach of high degree of customizing of its state-of-the-art engineering and process concepts. This is what makes us so different from our competitors, and one of the most important reason why we can in the end be successful and achieve full customer satisfaction,” added Mr. Thibaut Richard, General Manager at AKW A+V GmbH. Such plant concept can be built worldwide. 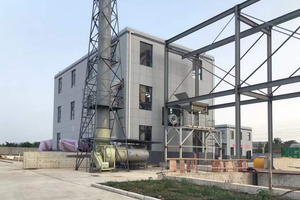 The AKW A+V Group can also a competent partner for other environmental treatment requirements, including soil washing, road sweeping, flue gas desulfurizing, process water recycling, and many others.